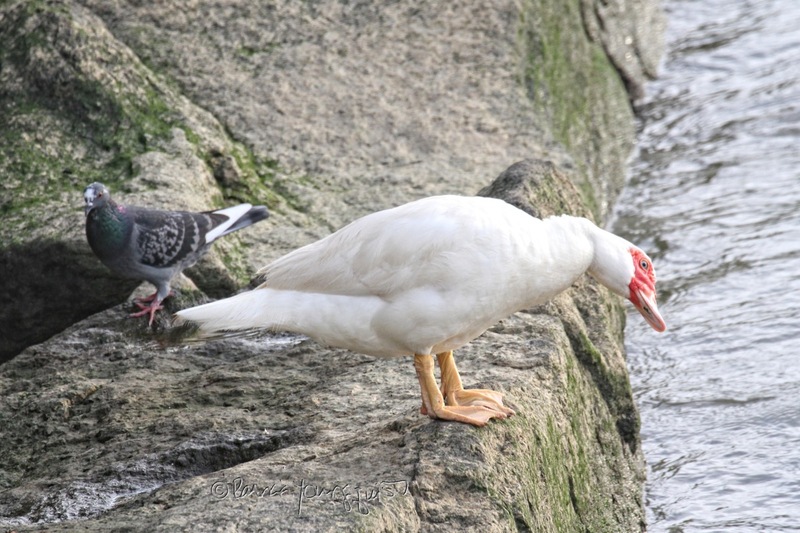 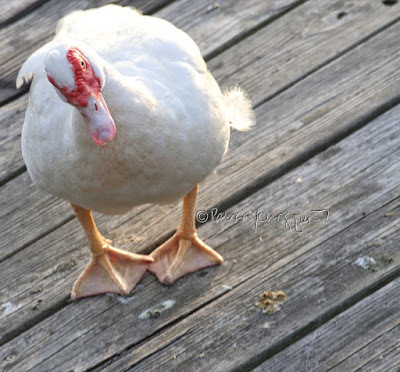 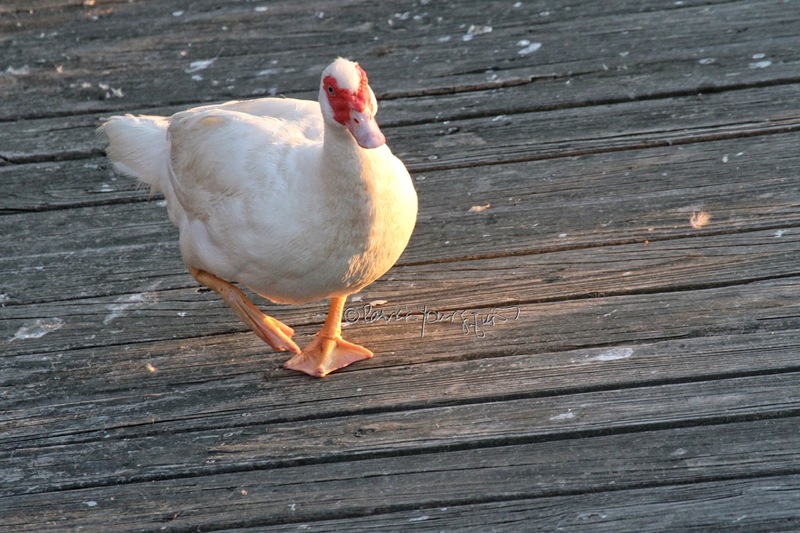 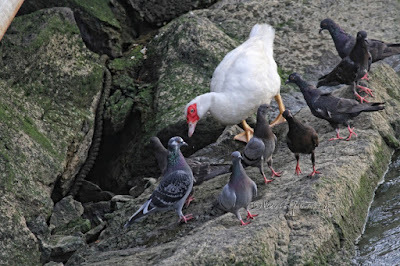 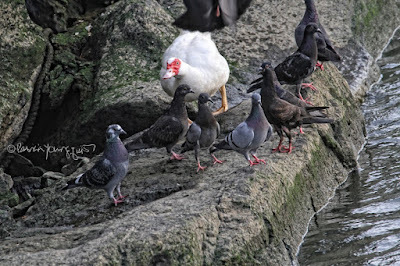 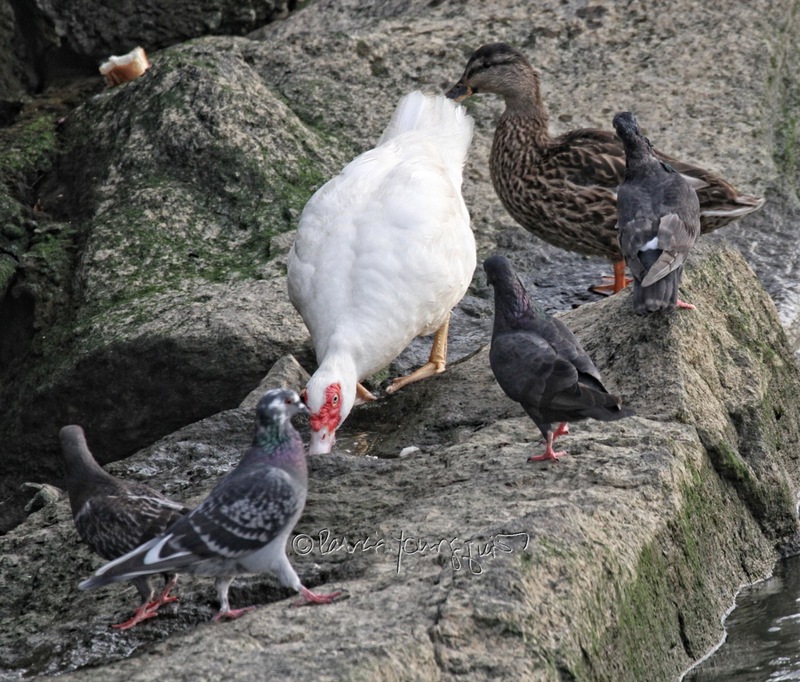 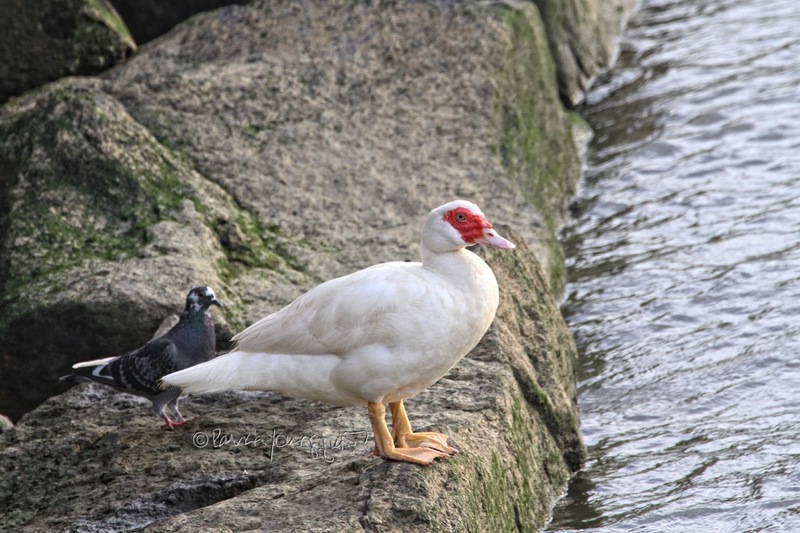 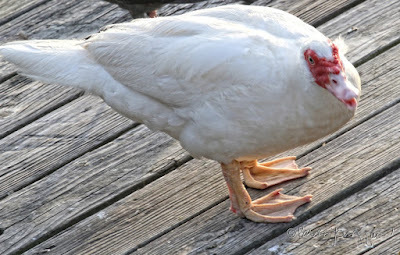 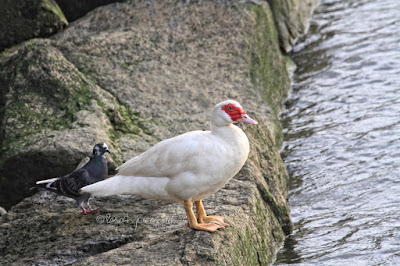 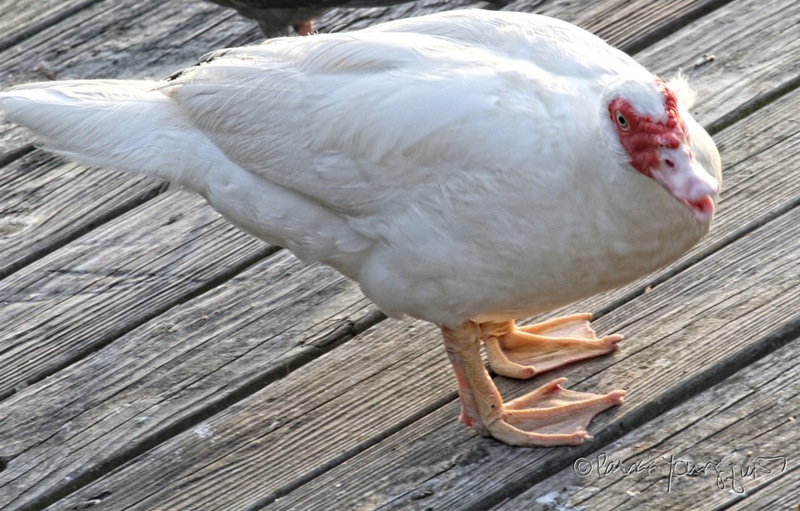 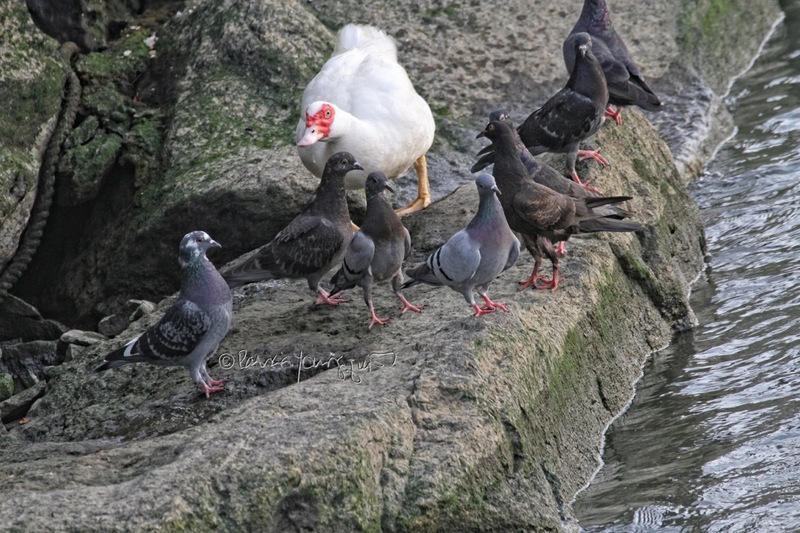 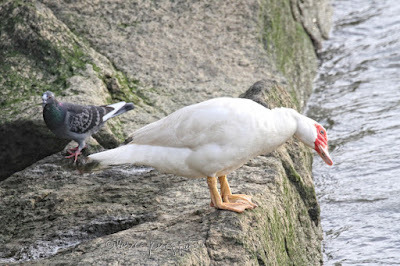 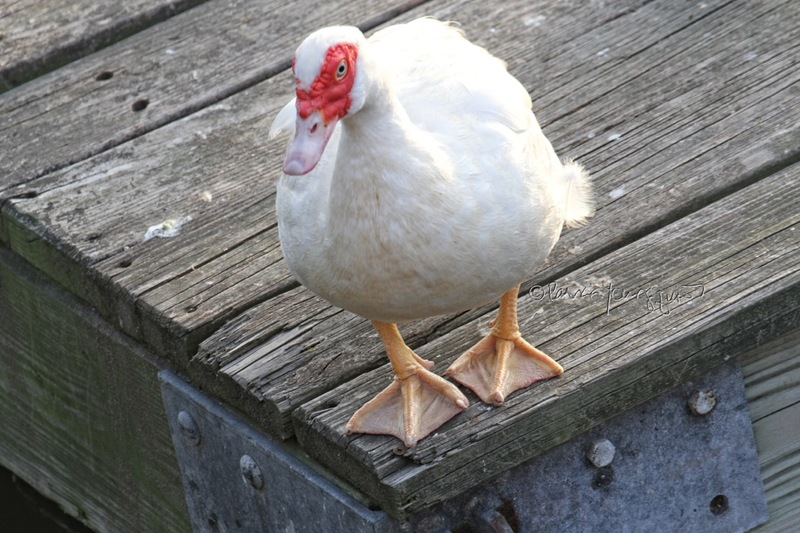 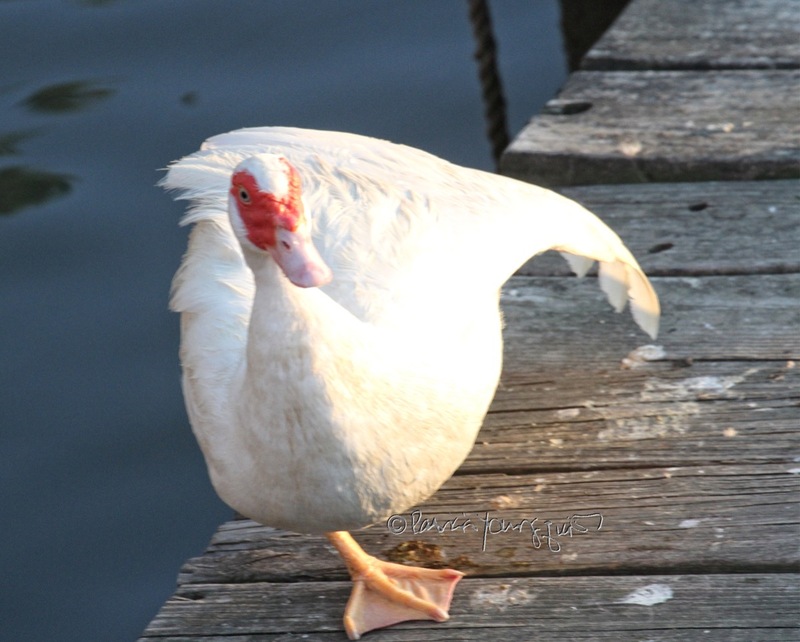 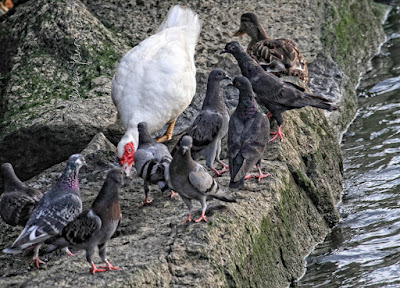 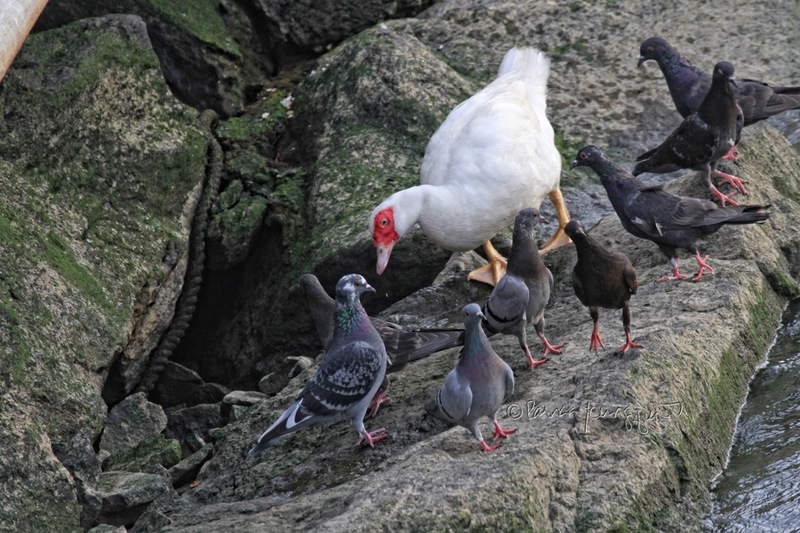 As you may recall, dear reader, this past September I had the privilege of meeting Jewel, the white Muscovy duck seen in the images atop this entry, where she is in the company of a Mallard duck and an array of pigeons. 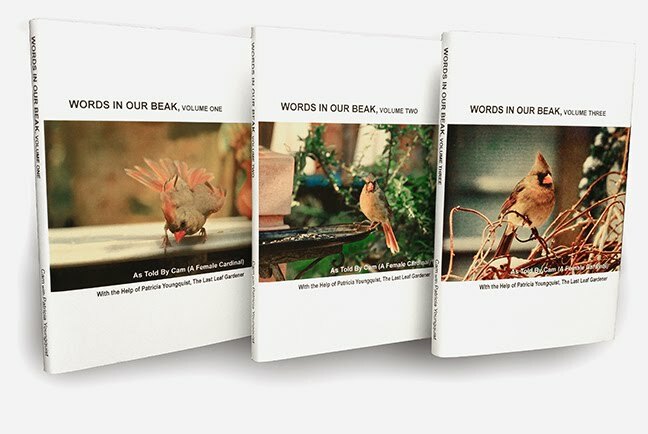 Btw, Jewel can also be seen in the company solely comprised of pigeons, as evidenced in the next set of photographs. 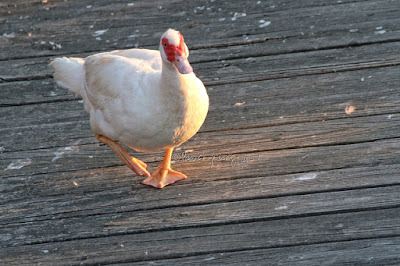 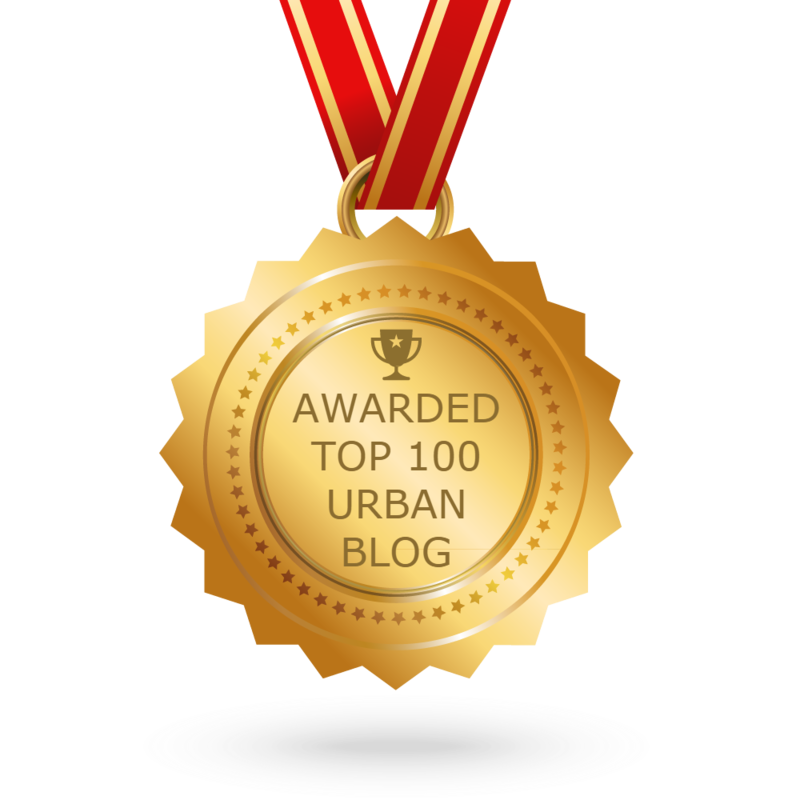 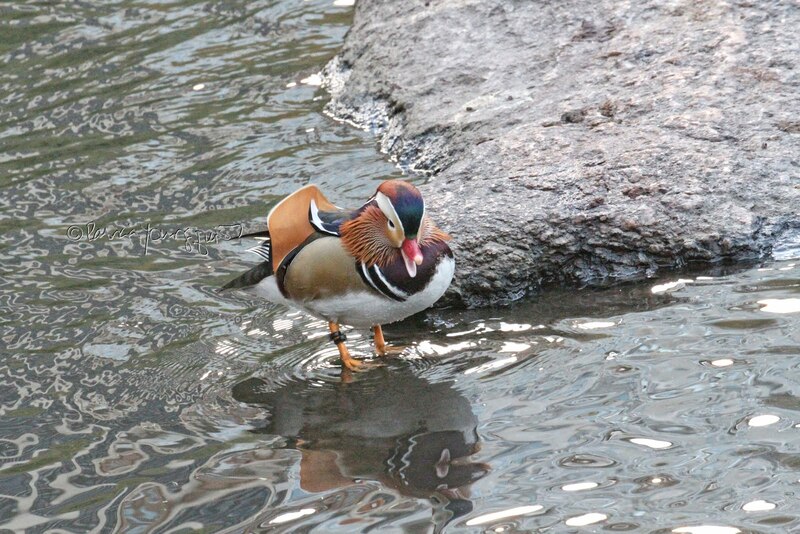 just like the other members of the wildlife community who I described in yesterday's blog entry.